Use these practical tips to help control how fast your minutes escape from your cell phone. One of the best ways to make your airtime last longer is to just keep track of how much you are using. When you are checking it regularly you will be able to notice when you use more than expected or if something caused you to run out of minutes. On non-smartphones it is very easy to see the airtime balance on the home screen but smartphones are a little more challenging to find. Fortunately we have shared 4 Ways to Check Your Airtime Balance including several additional tips. One of the easiest is to dial *777*1# which then gives you your current minutes balance. 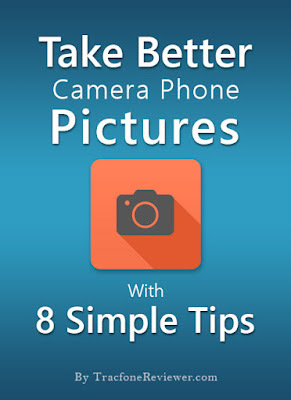 This doesn't work for all smartphones but is a convenient option if it works for you. When you add a new minutes card to your prepaid cell phone, always make sure you use a promo code to get free bonus minutes. There are promo codes for both regular airtime cards and Smartphone only cards, so be sure to use the right one. Most promo codes give you 20-50 bonus minutes on regular airtime cards, and anywhere from 100 bonus talk minutes to 500 MB extra data which is a great deal. 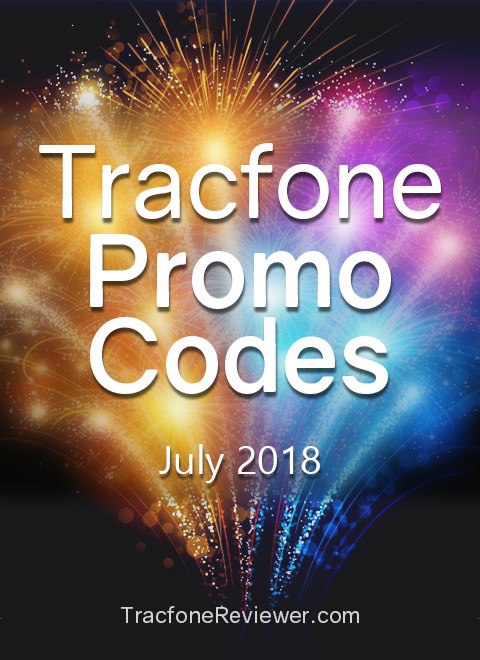 Check out our full list of updated Tracfone Promo Codes and find one to use next time you add minutes to your phone. For some minute cards, like the 400 minute and 1 year of service card, you can get as much as 250 bonus minutes! That is a huge boost to your minutes, so go check out those promo codes! Triple Minutes for Life was a feature many Tracfone devices came with for several years and it automatically triples your minutes when adding a new airtime card. Its a great deal and very useful but Tracfone recently Made Changes to Triple Minutes for Life and stopped including it on new phones. So if you don't have Triple Minutes on your phone, buy the Smartphone Only airtime cards as they don't triple anyway, and are generally a better deal for most users. For example, the 60 Minute Airtime Card is $20 and without triple minutes you get 60 talk/text/data plus 90 service days. The smartphone only card equivalent for $20 gives users 300 talk, 1000 text and 1000 MB Data plus 30 service days. Note that you do not get as many service days, but significantly more airtime. While you might be tempted to answer every call you get, this quickly uses up your minutes. So check the phone number before you answer, and if it is unfamiliar, it might be better to not answer and wait to see if they leave a voicemail. Just be sure that you have your voicemail set up. It might just be a lot easier to listen to any message they leave, and then determine if it is worth your time. If you can avoid two calls from telemarketers or other unknown numbers each week you could end up saving quite a lot of airtime in the long run. Avoid as much as possible giving your number out online. Try not to post it on any websites, or when you signup for accounts unless it is required. The more often you give your number out online, the more likely it is a telemarketer will find it, and try to call you. Also be careful who you give your number out to. If you are checking out at a store and they ask you for your number, think twice before giving it. Offer your email instead. We are not suggesting you stop giving your number out to friends and family, that would eliminate the whole reason you got the cell phone! Just be mindful of where you share your phone number as you could start getting more phone calls than you really want. Making a call to friends or family? Don't use your prepaid minutes, instead use one of the many calling apps that are available for free. Skype, FaceTime, Google Hangouts and Facebook Messenger all offer free video calling (or you can turn off the video) to anyone with a connected device. You will need to make sure you are on a WiFi network otherwise it will use up your data. For many of us, the mobile data seems to disappear the most easily. This is because there are a number of ways a smartphone might use mobile data without you knowing, or sometimes inadvertently. So here are four ways to curb your mobile data use. You can monitor your mobile data consumption on your phone and actually set warnings when you go over certain limits which can be very helpful. See how to view your data usage Here for Android, and Here for iPhone. Most apps will use background data to check for updates, send location information, or a variety of other things that can slowly deplete your mobile data. Turning off background data helps keep apps from doing so unless they are connected to WiFi and you can also choose specific apps to turn off/on background data. This tip saves the most data by far - use a WiFi network when you have large files to upload or download. If you have pictures to upload to Facebook, or want to download music to your phone, use WiFi instead of your data and it will make your data last much longer. Also avoid streaming videos or music unless you are connected to WiFi as these will quickly use up your data. Our final tip is to just turn off all Data usage on your phone during times when you don't need it. You can do this in the settings menu under Data or Cellular Data. Be aware that you won't get notifications from apps and you won't be able to send or receive group messages or picture via text. For more helpful information about mobile data visit our post on How Data Works with Tracfone. 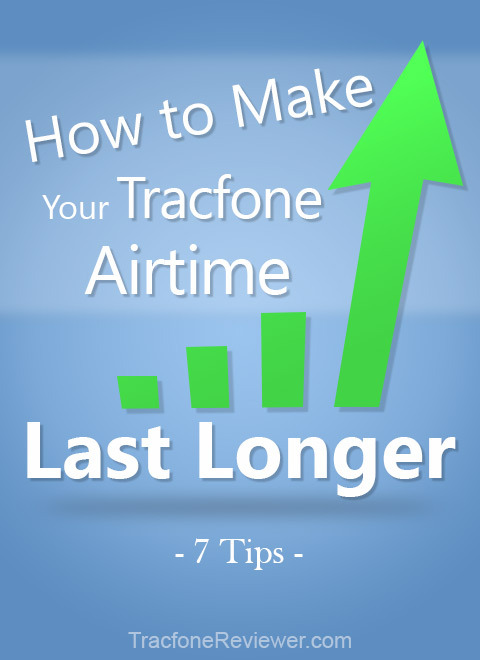 That concludes or tips for making the most of your Tracfone airtime. We hope this information helps you save money! Leave a comment with any thoughts or questions. For more money saving see our latest Deals, Discounts and Sales on Tracfone Devices. 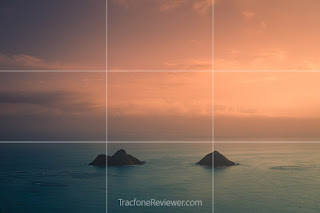 And keep up with the new phones from Tracfone in our List of the Latest Tracfone Smartphones. Or you may be curious about the 5 Best Tracfone Smartphones in 2018. 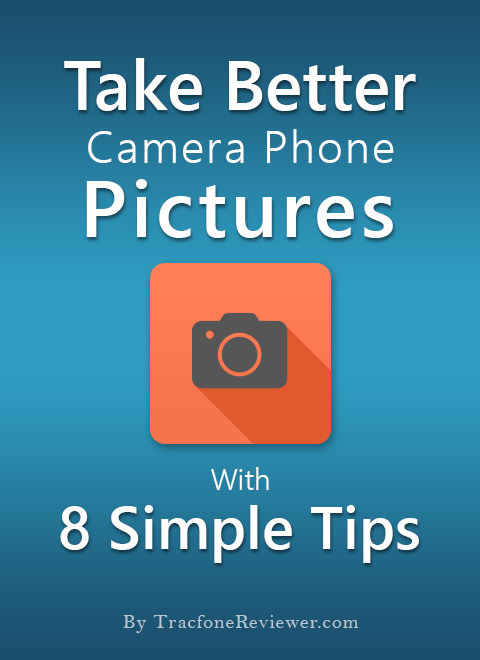 Lastly, we just shared 8 Tips for Better Cell Phone Pictures to make the most of capturing memories on your smartphone. 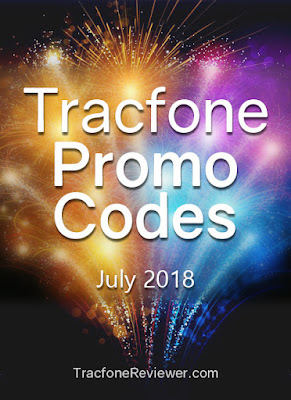 Temperatures are rising as the summer continues and we have new Tracfone promotional codes to share for both regular and smartphone cards. Each month we share the latest codes we've gathered from around the web in one convenient place for our readers to use and enjoy. To use these codes simply add the promo when purchasing or adding airtime from Tracfone to your phone and enjoy the free bonus minutes. These promo codes are generally for a specific airtime card and some codes are only for the newer smartphone cards from Tracfone. Some codes are one time use while others can be used over and over again. We strive to provide the best working codes and include only the newest in this list. For more promo code options, visit our main Tracfone Promo Code page. These codes can also be used with BYOP phones and we just updated our List of the Best Unlocked Phones to use with Tracfone BYOP so check it out if you're considering a new device or curious about BYOP. Regular Airtime Cards listed first. Some codes may be used on a specific card or cards of greater value. We will continue to update as we find more codes to share. These are the latest codes. We hope you found this list useful and let us know in the comments below which code you used and how it worked. Join us on Facebook to keep up with the latest news and posts as well as reach us on messenger with any questions. Don't miss our Best Tracfone Smartphones List which includes several Android and iPhone options. And look for the updated Deals, Sales and Discounts on Tracfone Devices and Minutes coming soon!